Although data has been around us for a long time, Big Data is a concept that has only become common for the last decade and has taken the world by storm ever since. Every business, however big or small, involves big data in one aspect or another. It is indubitably one of the most promising discoveries amongst the tech spaces. Nevertheless, like the two sides of a coin, Big Data also brings serious risks alongside the pros it offers. These associated dangers are overlooked by companies more often than not, due to the profit-hungry element of the business world. Big Data also means big threats to data privacy. Enterprises all around the world store an enormous amount of sensitive data at their disposal, such as personal customer and employee information, company’s strategic documents, and so on. These kinds of data are an obviously juicy target for hackers because of how valuable they are to the other competitions in the business. Therefore, the last thing you want is an organizational data breach, which could inevitably lead to heavy consequences, potentially bringing down the business. Developing countermeasures for security scenario is a compliance necessity. Read more: What are the hot trends for outsourcing cloud services in 2019? To put it mildly, an enterprise may possibly generate an enormous heap of data points on a daily basis, as most tasks involving business nowadays are completely data-driven. The bigger the business, the larger the data accumulation. Furthermore, data is ever-changing and therefore highly versatile, which comes in from numerous sources and forms. With all this data keeps flooding in and piling up each minute, enterprises are prone to be overwhelmed when trying to make use of the stored data. As such, a significant amount of time is wasted on cleaning and integrating it into the enterprise network. These tasks negatively affect the performance of the business. It is imperative that the firms understand data collection and deploy a solution for it as soon as possible. Without analysis, data is just an unnecessary burden for the business. Data analysis is an absolute obligation to put big data into good use, giving valuable insights into enterprises’ usage in business decision-making as well as developing business strategies. Had the firm not handled their data well, analyzing data is surely an arduous task, as much as it is money-consuming. Likewise, with information overload due to unorganized data, businesses run a huge risk of wasting, misinterpreting, and even relying on outdated data, which ultimately leads to major data error while making poor decisions and plans for the firm. Sequentially, the business lags further behind on the market competition. As the business grows, more and more information flows into the database, it becomes apparent that the concerns for storage are absolutely critical. With such data coming in huge volumes, the costs for upgrading storage also multiplies. Traditional data warehousing calls for a huge initial setup cost, not to mention the fact that performing hardware upgrade is also time-consuming and costly, due to the fact that the actual hardware needs to be purchased and properly installed. Another approach for data storage is to make use of cloud technology. While this method can minimize the costs for on-premise data warehouse, there are certain hidden security risks associated, which is why many firms prefer the former system. Regardless, both traditional and cloud-based storage methods involve a huge expenditure. Additionally, the procedure of processing, analyzing and securing data requires top dollar investments, which may take a heavy toll on the enterprise budget. Only with a carefully developed Big Data Solution can the cost be mitigated well. While many firms believe that Big Data is only suitable and affordable for big businesses, Savvycom trusts that Big Data is an indispensable tool, playing an essential role for business prosperity, large or small. With a well-developed plan and solution, we can help you take care of the hurdles associating with Big Data, and in turn, make it achievable while generating incredible revenue for even small and medium enterprises. 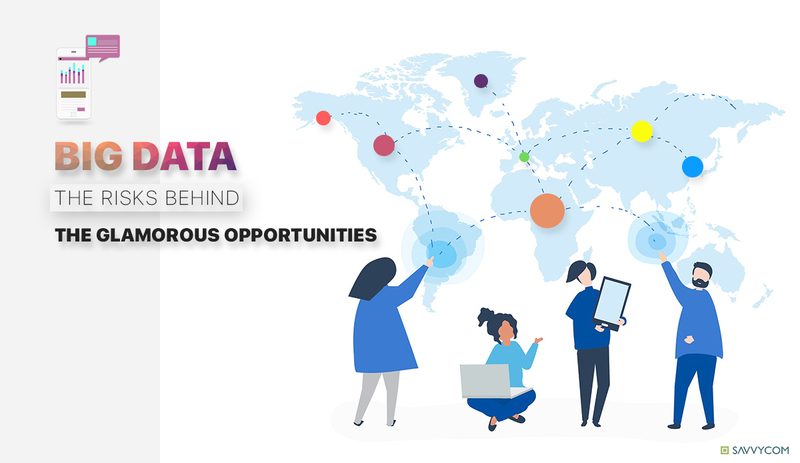 Regardless of how cluttered and fragmented your data may be, Savvycom specialists, with their excellent experience, will surely deliver the best solution to help you conquer any potential risks while assisting you with your future of Big Data management. Specifically, Savvycom has already administered a powerful tool for Big Data solution, named “Genomics”. 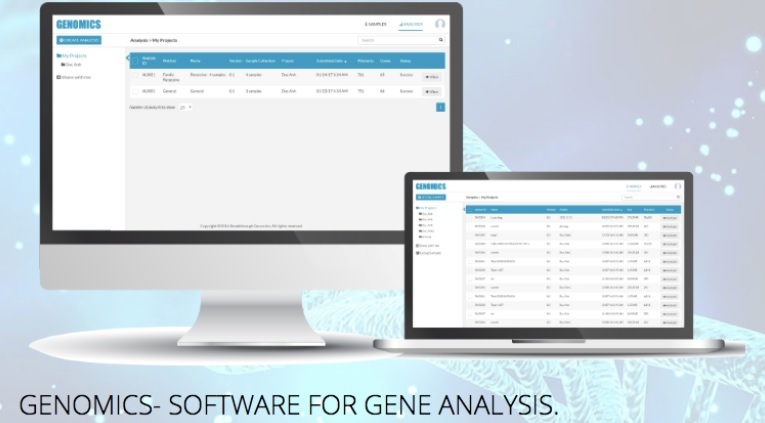 Using up-to-date gene-based annotation functionality, Genomics helps ease the procedure of data analytics by studying the information, then annotate huge volumes of data as “Gene”. With data properly structured as “Genes”, they can be accessed and analyzed quickly as well as accurately. Genomics will positively change the way that firm deal with Big Data, thus playing a vital role in ensuring the enterprise’s successes. We would love to give you a free consultation and suggestions to achieve your goals.